This year, we are carrying Noble Fir, Fraser Fir, Nordmann Fir, and the coveted 'Burton Blue' Fir, grown by local, family farms. See below what makes each variety unique and the differences in density, shape, color and needle structure. 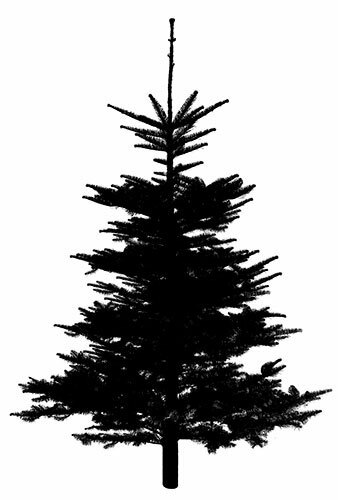 Our trees are available in three different densities: Alpine, Forest Edge, and Town Square. Learn more about the natural shapes and densities of our trees. Want to reserve your tree this year? Try our Tree Reservation Service on social media! Found you perfect tree? Learn how to keep it looking fresh all season long on our FAQ page. Interested in purchasing a Living Tree? We carry a great selection of live trees at Swansons that can be enjoyed indoors for up to one week, then planted in the garden or donated back to Swansons to be planted through our partnership with King County Parks Million Trees Initiative. Learn more about our living trees here. Need help getting your tree home and set up? Swansons delivers! Talk to us in person or call us at (206) 782-2543 to learn more.